The ground is extremely saturated across the District. Groundwater levels across the District were, on average, in the high category at the beginning of August. 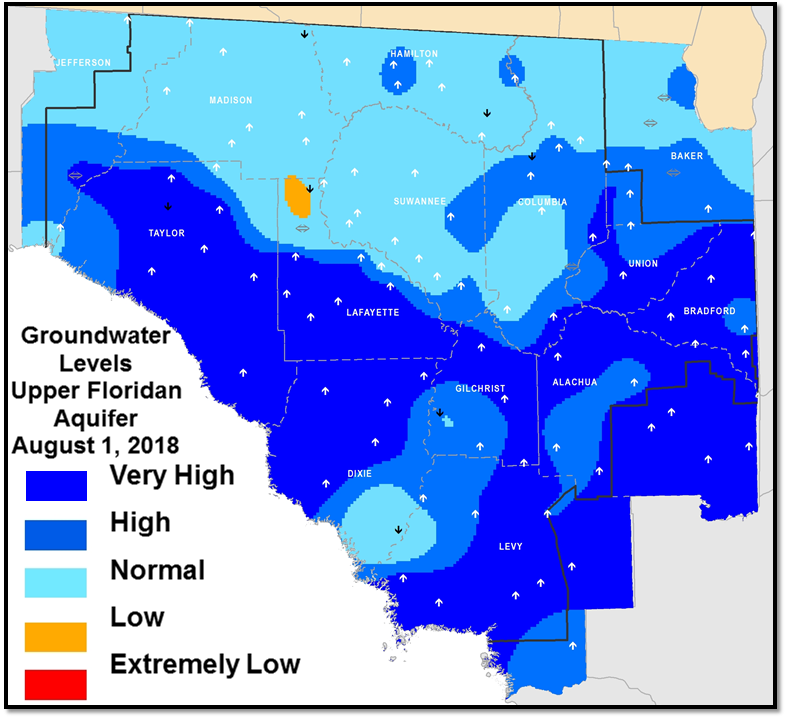 By August 19th, of 88 long term groundwater sites reporting, almost half of the sites were at or above the 90th percentile - the level in each of those wells is higher than it is more than 90 percent of the time. A half dozen wells in Dixie, Levy, and Alachua counties set record high levels. If we were to experience a heavy rainfall event, flooding could occur. Begin preparing now - identify alternate ingress/egress routes, make a plan for low-lying valuables and animals, and know the historic flood levels in your area.